Recently there has been a move in the U.S to rename Chronic Fatigue Syndrome (CFS), also referred to as M.E to instead be called Systemic Exertion Intolerance. As someone that suffered with the condition for over 6 years, neither term makes sense to me. I always felt that ‘Fatigue’ was a poor way to describe the mind crushing exhaustion I felt. Tests have shown the lactic acid in the body of sufferers to be that of marathon runners. Also the term ‘Chronic Fatigue Syndrome’ misses out the multitude of other symptoms sufferers may experience including cognitive impairment and severe muscle pain. Plus I never really wanted to have a syndrome! So to ‘Systemic Exertion Intolerance’….well, I welcome the fact that this illness is being talked about when so often it hasn’t been recognised or properly understood. I guess that’s progress. ‘Systemic’ it certainly is as it can affect the entire body, but ‘Exertion Intolerance’ it isn’t. One of the things that was pivotal in my recovery from this horrendous condition was casting aside the ideas around pacing and graded exercise that are so unhelpful. I always thought being in tune with my body meant resting when I was tired and then using the little energy I had left to do chores or other things. The thing is, this is where the body can confuse us. Yes, it wants us to rest, but only when we get a regular type of tiredness. The ‘Fatigue’ with this condition is not for the most part regular or healthy. So what I started to learn that instead, my body wanted me to do fun and fulfilling activities to address underlying messages it was sending around boredom and lack of fulfilment, this gave me energy rather than taking it away. In fact, when I started following a comprehensive programme I was able to show my body that it had things to look forward to, I no longer got symptoms in the morning or after physical activity – something I’d always viewed as payback. That just wasn’t the case. My body was just saying ‘Hey, I really enjoyed that activity…what is coming next’ and if it couldn’t see anything fun or different, BAM…more symptoms. Of course this can’t all be done in isolation. There will be other underlying messages the body is sending which need to be dealt with but you start to see why ‘Exertion Intolerance’ is just nonsense. 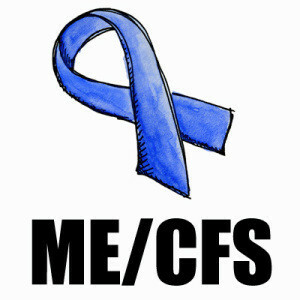 So this M.E / CFS Awareness Day, let’s cast off the stigma of the illness but also take back some empowerment that we can change our fate and be well and not defined by some silly label. Saul Levitt is a senior Mickel Therapy practitioner, trainer and owner of Intuitive Health. Since recovering from CFS he has completed a 60 mile bike ride, travelled, had two children and holds down 2 jobs!